Purpose-driven companies are taking the center stage in the business landscape today. In fact, they are slowly driving the new economy. Many business leaders have stopped using their profit to measure their success. Instead, they make sure that they fulfill their brand’s purpose. A purpose has the power to connect with people and build a reputation. And when used right, it can also turn customers to brand advocates and keep loyal employees. But how can you find a purpose beyond profit? And how can you use your “why” in building your business? In this week’s edition of Five Tips Tuesday, we’ll dig deeper into this topic and discuss the real meaning of finding your brand’s purpose. Discover the benefits of letting your purpose drive your business. Learn valuable lessons from brands that choose to change the world in their unique ways. 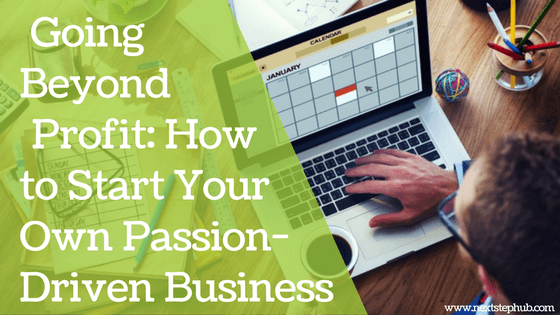 Check out the crucial steps to starting a purpose-driven business. Find your “why” and create your personal brand. And lastly, get the book that will help you understand the power of purpose in entrepreneurship. The business scene is getting more competitive each day. To stand out, companies are paying more attention to their products, services, and innovations. These factors are important ingredients to business success. But did you know that a clear purpose is a more powerful and effective tool? Read this great article and find out why you should seek purpose beyond profit. Before you can create your personal brand, you have to understand who you are and what you really want. Knowing your purpose will help you surpass the challenges that you will encounter while building your business. It will keep you going when things get rough and transform you into a better leader. Discover your professional purpose by asking yourself these questions. One of the best ways to learn is to observe the people who are already in the place we want to be. Check out this blog post and learn from three brands that went beyond profits. Are you planning to start a purpose-driven company but don’t know where to start? Or already running one but you’re not sure if you’re doing it right? Learn the important steps to giving your business a purpose here. Ever wonder how businesses like Google, Airbnb, and Whole Foods change people’s lives through the power of purpose? In “Mission: How the Best in Business Break Through”, Michael Hayman and Nick Giles uncover the secrets of what it takes to succeed. This book will help you define your commercial purpose, hone it into a campaign, and turn customers into advocates. Do you have other tips for building and nurturing a purpose-driven business? Tell us in the comments!